Braden Peiser set the USA Shooting National record in 50 Meter 3 Position Rifle at the 2018 Junior Olympics held at the Olympic Training Center in Colorado Springs, CO. In Braden’s first relay, he beat the J3 (under 15 years old) National Record by 3 points. And just to prove it wasn’t luck, the following day, he beat his record by another 3 points! Thirteen year old Braden, of San Angelo, TX has been shooting since he could walk. 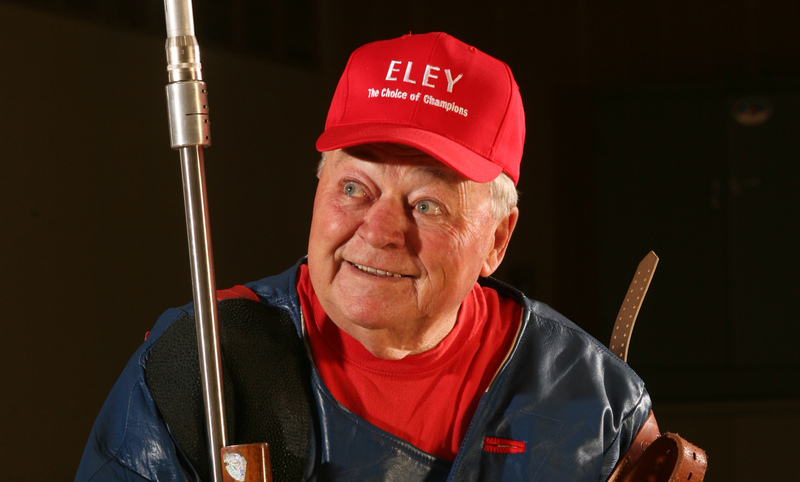 He began shooting competitively in 4-H at the age of 8. Braden has quite a long record of winning up to this point. Each year he’s won many 4-H competitions. 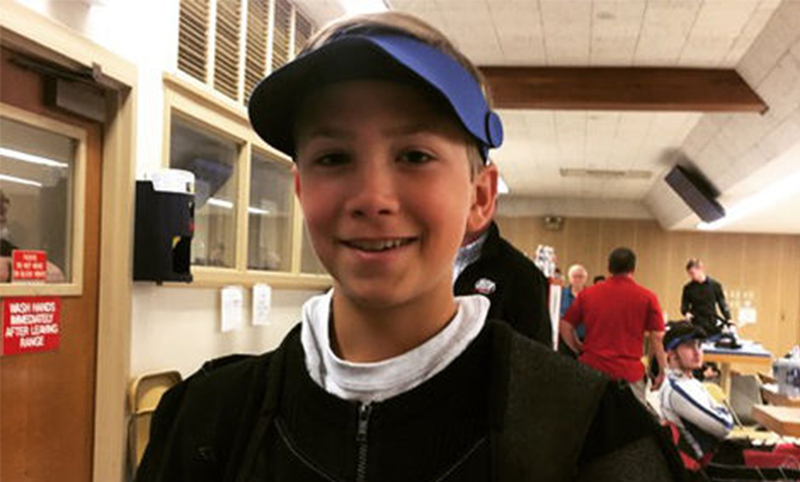 In 2017, at the age of 12 he attended his first JO qualifier match where he qualified for both small-bore and precision air. 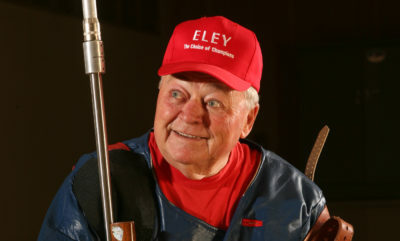 The qualifier is also the USA Shooting State Championship. He won the gold medal for both events in the J3 age bracket. At the JOs he won two bronze medals in J3 age group. He won the 2017 4-H District 7 small-bore 3P rifle match for the Intermediate age bracket. He won both 3P Air and Precision Air at the 2017 Cavalier Cup, held in The Woodlands last summer. His rifle team (Texas Hill Country Shooting Team) qualified for the Army Marksmanship Unit National Championships at Ft. Benning, GA. The team won the AMU Small-bore 3P national championship and placed fourth in the AMU Precision Air national championship. All 3 of his teammates are girls, all 3 are seniors in high school and all 3 have been recruited to the TCU rifle team next year. At the JO Qualifier this year, Braden won the overall (20 years old and under) USA Shooting State Championship for Smallbore 3P and placed 3rd overall for precision air. He won the J3 age bracket for both events at that match. At the 2018 JOs he earned gold in both events (small-bore 3P and precision air) for the J3 age bracket, qualified for the finals (top 8 shooters at the event, 20 years old and under), placed 2nd in the finals and placed fourth overall (20 and under). After returning home from his Junior Olympic success, Braden has continued his training and competition winning a few 4-H matches and also winning the District 7 Intermediate Champion title again for 2018. Where’s Braden going from here? He’s met his goal for 2018 of making it to the finals in a national match. Braden’s sights are on making the USA Junior National Team in 2019. Eventually, he plans to shoot in college and somewhere along the way, make the Olympic team and shoot in the Olympics. 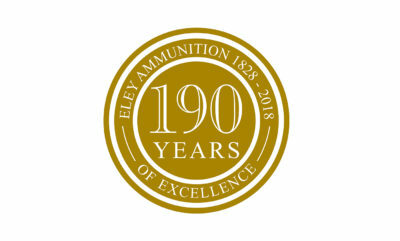 ELEY, the leading British engineering company, was established in 1828 and is globally recognised as the premier manufacturer of .22LR Rimfire ammunition. The highly qualified team based at our UK production facility includes internationally recognised specialists in internal and external ballistics, powder dynamics, and metrology. The ELEY product range includes ELEY tenex, the world’s most successful .22LR competition cartridge.